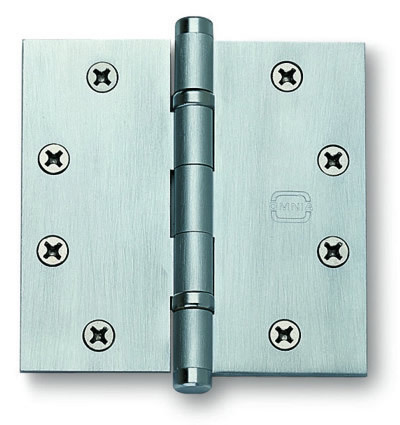 These high quality and stylish hinges are designed to support your medium weight, average use doors. The 985BB has two permanently lubricated, non-removable ball bearings that increase the weight capacity and lifespan of your hinge. The hinge features a removable pin and feature multiple finial tips that you can upgrade with. - For light commercial or normal residential use. - 4 1/2" by 4 1/2" hinge size. 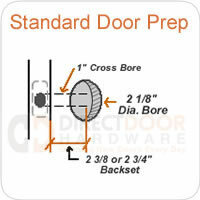 - Shipped assembled with pins installed, your choice of wood or machine screws, and mounting template.